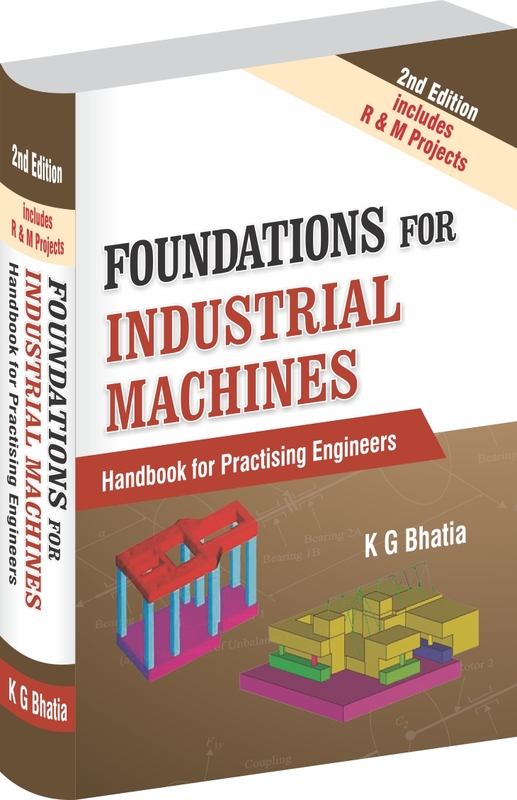 FOUNDATIONS FOR INDUSTRIAL MACHINES: Handbook for Practising Engineers - K G Bhatia. This 2nd edition is based on the feedback from the Practising Engineers during various training programs conducted by the author. Mathematical Derivations from all the chapters have been taken to Appendix placed at the end of the book. Additional parameters, pertaining to machine and foundation that influence response, have been added to the respective chapters. Many more detailed design examples have been added for the benefit of the practising engineers. Machine foundation design for R & M Projects needs special attention/treatment. A chapter has been added for the same. Difficulties experienced by designers while using standard structural analysis packages for machine foundation designs have been added in modeling and analysis. It is anticipated that this 2nd edition shall bridge the knowledge gaps and shall place practising engineers in a comfortable position with regard to designs of machine foundations.